We’ve been so lucky – we’ve gotten stars from across the country, even from Canada. They’re beautiful and display the talents of so many wonderful tatters – and they look absolutely gorgeous on the quilt. 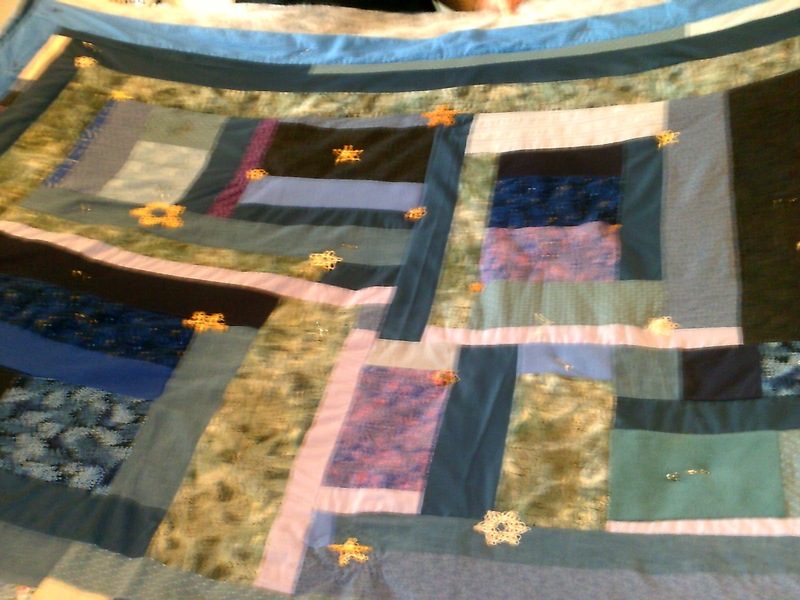 We had a quilting bee at our last tatting meeting, with a couple of tatters who don’t like sewing working on tatting a few more stars. And then the best quilter among us took the quilt home to work on it some more. The winning bidder for this quilt will be comfy warm as well as very lucky – and the tatters who receive scholarships to attend will also be thanking their lucky stars!